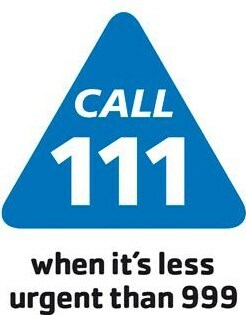 If you need urgent medical attention when the surgery is closed please telephone 111 for the NHS 111 service. You should only use this service if the surgery is closed and you urgently need medical help or advice but it's not a life-threatening situation. For immediate emergency attention at any time please dial 999 for an ambulance. There is a wealth of online information at http://www.patient.co.uk/ that includes a symptom checker, a health test and many pages on many different kinds of health issues.